Dubbed ‘Freddie’ by a childhood friend, Alice Mary Glassco continued to be known affectionately by the nickname by generations of grandchildren, nieces, nephews and friends. 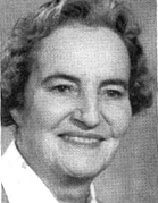 The third of six children, Alice Mary Balfour was born October 28, 1917 into a family well-established in the wholesale grocery distribution business. Alice was educated at Strathallan on Robinson Street (before the present day Hillfield-Strathallan College) and Compton in Montreal, followed by a year in Switzerland. She was a spirited young woman with a good sense of humour. Family lore has it that, as young girls, she and two sisters drove a cow downtown from their home on the Mountain. Freddie had a great talent for oil painting and her teacher, well-known Canadian artist Frank Panabaker, once remarked that she was his best student and showed great promise. During the Second World War, Alice performed various duties for the Red Cross including driving one of their trucks (unusual for the time) and took pride in the fact that the Duke of Kent visited the Hamilton Branch to congratulate them on their contribution to the war effort. On January 31, 1942, she married Colin Stinson Glassco, a Lieutenant Commander in the Canadian Navy. After brief stints in Vancouver and Edmonton, the couple returned to Hamilton to raise their family on Markland Street – where she lived for 54 years until her death on September 22, 2000. Alice Mary Glassco left a gift to the Foundation in memory of her husband, Colin, who served on the Hamilton Community Foundation Board in the 1970s. Her bequest will be added to the Ontario Endowment Fund for Children and Youth in Recreation. In addition to the Foundation, she also remembered the Red Cross, the Victorian Order of Nurses, Christ’s Church Cathedral, Hillfield-Strathallan College, and the Salvation Army.